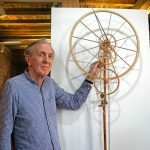 Internationally renowned artist whose works of watches have been shown for the 25th anniversary of the museum in the special exhibition “Clockwork”. Here you will find objects of our museum on the Internet. Here you will find objects of German museums. Here you will find objects of European museums. Website of Püttlingen: the museum is located in the Köllerbach district. The link to Watchmakers Guild of the Saarland. The museum is a member of “Saarländischer Museumsverband” in Ottweiler. The ‘Freundeskreis alter Uhrmacherkunst e. V.’ is a member of the German Chronometric Society. We are also a member of the French friends of ancient watches. A further horological museum in Saarland, in which 93 pendulum clocks are shown. A Museum in Zurich (Suisse), in which you will find very valuable clocks. We are friends of this museum in Suisse.